The long-term care insurance landscape has been undergoing a shift over the last few years. Amidst companies leaving the market altogether and the market consolidating, some companies have ventured into asset based LTC policies. Out of the carriers moving in this direction, Nationwide is one of the best long-term care life insurance companies. 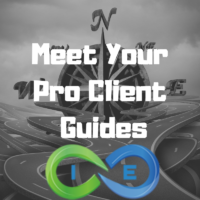 In the following Nationwide review, we will investigate the company’s history, ratings, long-term care life insurance product and the features offered, so that you can decide if Nationwide is the right choice for you. Nationwide is a Fortune 100 company and has been doing business for over 91 years. As one of the biggest insurance and financial services companies in the world, Nationwide and its affiliates provide property and casualty insurance, life insurance and retirement savings, asset management and strategic investments. The Company’s various products are underwritten by Nationwide Mutual Insurance Company and Affiliated Companies. However, not all Nationwide affiliated companies are mutual insurance companies, and not all Nationwide members are insured by a mutual company. For 2016, Nationwide reported total sales of $43 billion in total sales with operating income of $910 million on revenues of $26.9 billion. In addition, the company has $209.8 billion in total assets under management. Finally, the company paid $17.2 billion in claims and other benefits to members. Nationwide is a top rated insurance company as is evident by the following financial ratings. In our opinion, the best option to protect you and your loved ones from the high costs associated with LTC is long term care insurance (LTCI). Traditionally, long term care insurance provides reimbursement for costs associated with long term care. Some plans also allow cash indemnity up to a certain amount of the income benefit. You require care due to a cognitive impairment such as Alzheimer’s disease, Parkinson’s disease, or Dementia. Your long-term care benefits provide either reimbursement or cash indemnity for LTC services and costs including in home care, nursing home care, or care in an assisted living facility. Your income benefit is typically income tax free up to certain amount. Generally, you can receive the cash indemnity benefit income tax free based on the HIPAA per diem amount or actual LTC costs. For 2017, the maximum per diem limit is $360 a day. To receive your long-term care benefits you must meet the requirements mentioned above regarding ADLs or cognitive impairment. In addition, you must file a claim with the insurer and wait for the policy’s elimination period to end. Your elimination period is the time that must pass until you can receive your income benefits. Elimination periods are counted as either a calendar day or as service days. Once you are eligible to receive benefits, you can receive benefits for as long as your benefit pool or benefit period lasts. Nationwide YourLife CareMatters provides a fully-customizable life insurance with a long term care rider policy. The policy is a combination universal life insurance and long-term care coverage available for ages 40-75. There are several benefits to a hybrid LIFE & LTC combo policy, including cash value growth, lump sum death benefit, return of premium and long-term care cash indemnity. Nationwide long-term care rider provides for a cash indemnity benefit. Each month you are eligible for LTC benefits, you will get a check sent to you for the maximum monthly benefit. You can use the money as you see fit, even saving some if you choose to. It also provides the flexibility to pay whomever you want for your care, including family or friends. There are different payment plans available, including single premium, 5-Pay, or 10 Pay. On the limited pay life insurance plans, your premium is fixed, so you don’t have to worry about your premium increasing. It is a cash indemnity policy, which does not require receipts for reimbursement. And your death benefit is guaranteed, even if you use all of your funds earmarked for long-term care costs and services. Even if you use all the money earmarked for LTC costs and services, your beneficiaries will receive a 20% guaranteed minimum death benefit. Nationwide offers an optional inflation protection rider, with either 3% simple or 5% compound interest options available. With CareMatters, you can stay in the home you know and love by using your long-term care benefit to make any needed safety and accessibility upgrades or to pay for caregivers to come to you. You can even use your benefit for a housekeeper or other things that help keep your life running normally. You can take any benefit amount, up to the maximum benefit you qualify for. Taking less money can help extend the length of time your benefit is available. The universal life insurance with long-term care rider policy provides customization of the benefits period, including 2-7 year benefit periods. Once again, if you choose to take a lower cash indemnity benefit than the maximum, you can extend your benefit period. Alternatively, you can choose to bank any additional money. Long term care is expensive and the costs and services will likely to increase into the future. Currently, you can expect to pay around $100,000 a year for a nursing home and $50,000 a year for assisted living. A 2016 Genworth report showed that in home care currently costs around $3,800 a month. These numbers are growing annually thanks to inflation. So what can you do? The first step would be to get informed. We can help you with the life insurance long term care planning side. Simply reach out to us by phone or email to get started. If you are interested in a Nationwide Long-Term Care Insurance policy or any of the other companies we represent, please give us a call today. Thank you for stopping by. Term life insurance is a rather broad topic. Is there specific information you are interested in? You can always give us a call if you have specific questions. Also, please see our article comparing and contrasting the differences between term life vs whole life. Nationwide stopped paying a dividend on a whole life policy, where they had been paying for years?! Don’t count on these folks paying a dividend long term…it’s like they sucker punch you for a while…they are high cost provider! Sorry to hear that. Obviously, that is not a good business practice. In the end, a company’s reputation is all they have. Next post: What is Long Term Care Insurance and What Does it Cover?